Today we are honored to listen to Jenn C who placed eighth in the 7th Venus Index Transformation Contest. Jenn was at this same weight before but she didn’t have the same shape. The Venus Index workout gave her this shape. Losing weight has been the story of my life and I was ready to begin a new chapter when I discovered the Venus Index in September 2012. My journey with VI has been life changing; and I can honestly say that starting was the best decision I could have ever made for myself. In the beginning of 2012 I got caught up in the “eat more to weigh to less” movement and got fat. So imagine my surprise when I discovered that with VI all you had to do was eat less and lift heavy; I was hooked! Food has always been my downfall, to find a program where I didn’t have to be so restrictive with my choices and I could still enjoy the things I loved (in moderation) was the icing on the cake for me. 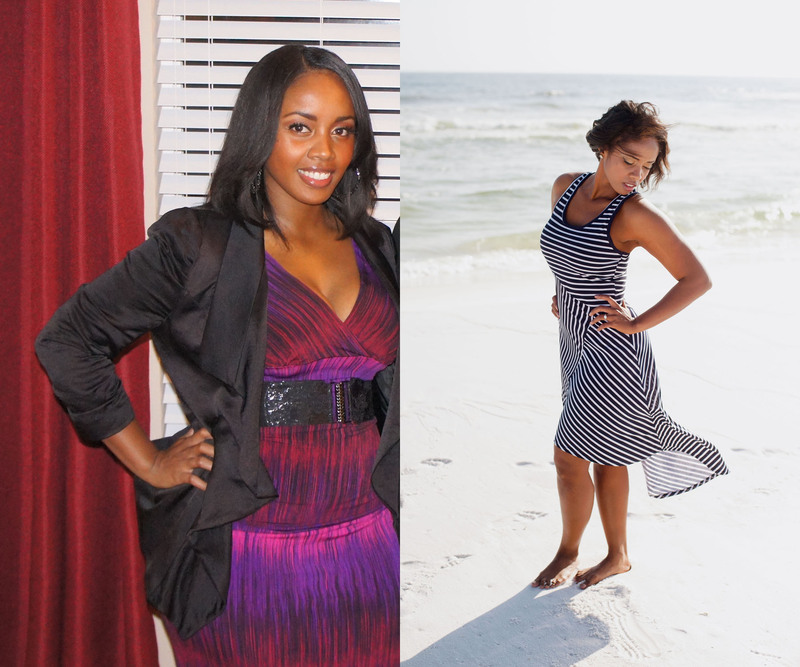 ESE and the VI workouts have played a major role in my new health and fitness lifestyle. I may not be at my VI ideal weight or metrics right now but I am confident that as long as I continue to trust the process and work towards my goals I will be at my VI ideal in no time. 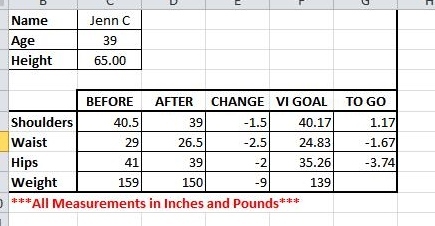 Jenn’s before and after metrics from the 12 week contest. Jenn before the 12 week contest. Jenn after the 12 week contest.